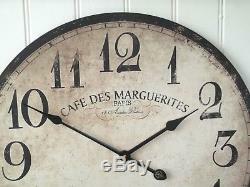 60cm Extra Large Shabby Chic Wall Clock New and Boxed. 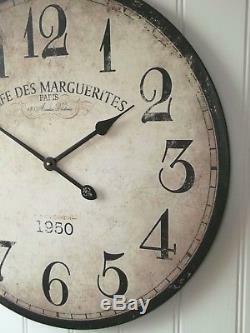 A stunning wall clock with a retro antique shabby chic look. 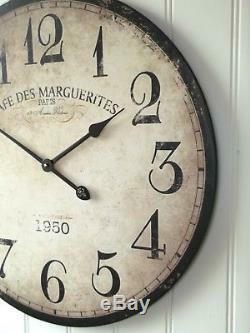 It has the appearance of distressed aged wood with an Antique Cream background, made of an mdf base with a vintage print. 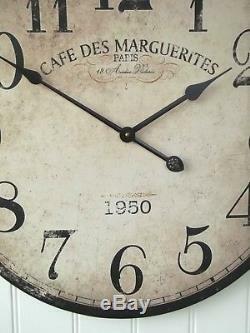 Would suit a modern or traditional interior. 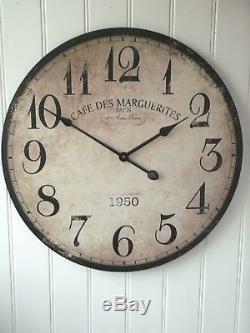 A real statement piece that would look impressive in any room in the home or make a lovely gift. 60cm high x 60cm wide.